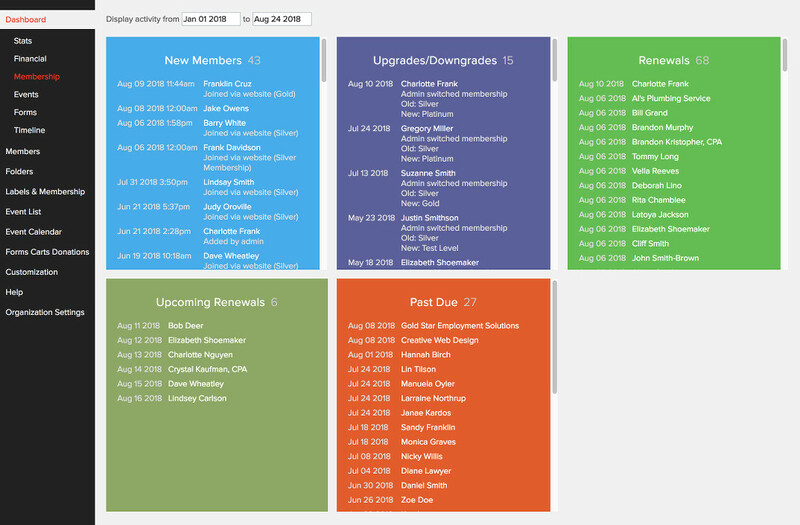 In addition to New Members, Renewals, Upcoming Renewals and Past Due, the Membership Dashboard will now also display Upgrades/Downgrades. This box will let you quickly see which members upgraded or downgraded their accounts within the selected date range. You can also click on the “Upgrades/Downgrades” title to pull up the members in that box for further action.